In the video clip below Schellas Hyndman, current Men’s Soccer Head Coach at Grand Canyon University, leads a classroom training session discussing and showing play examples of Team Pressing. 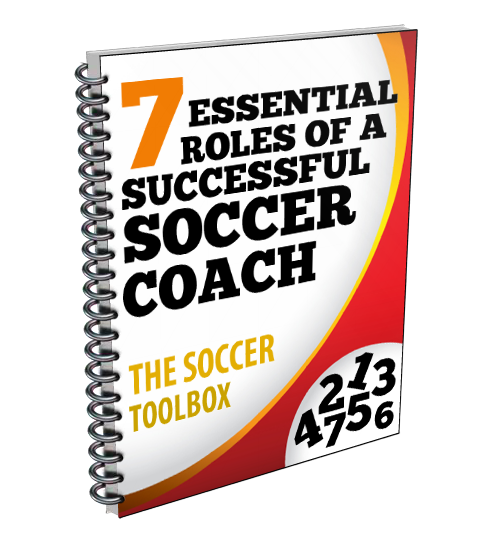 He has over 30 years of coaching experience and has excelled at both the collegiate (Eastern Illinois, SMU) and professional (FC Dallas) levels. This area or box is shown by Coach Hyndman on the side of the field around midfield. The team needs to create this box by forcing the offensive team and ball towards this area. The defending team needs to have players run straight towards the ball and get into passing lanes. The team should focus on winning the ball or forcing the offensive team out of bounds. The defensive team needs to force the ball to one side of the field. Coach Hyndman talks about how this a predictable form of pressing because the defensive team can use the sideline as out of bounds. All defensive players need to slide over towards that side of the field to reduce space for the offensive team. Outside midfielders and outside backs on the opposite side need to pinch in and can use the side of the 18 yard box as a line they need to be inside. The defensive team can make pockets on the field to encourage the offensive team to dribble into. Coach Hyndman shows an example where a pocket is created in the middle of the field above the 18 yard box in the offensive team’s defensive third of the field. The defensive team creates this pocket and then forces the backs of the offensive team to dribble towards this area. Once the player dribbles into this area, the defensive team double teams the ball with high pressure. The purpose is try and create a mistake where the defensive team can win the ball back and counter attack from a dangerous area on the field. The video below has audio, so please make sure that your sound is turned on.